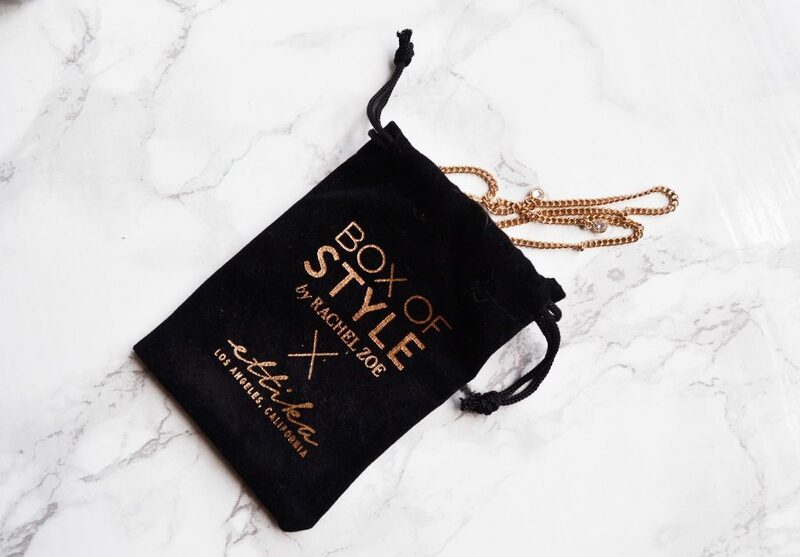 I have been reviewing Box of Style for the past year, and I really love how luxurious the products are! 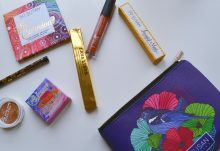 Today I will be reviewing the Fall Box, which I’ve been looking forward to. 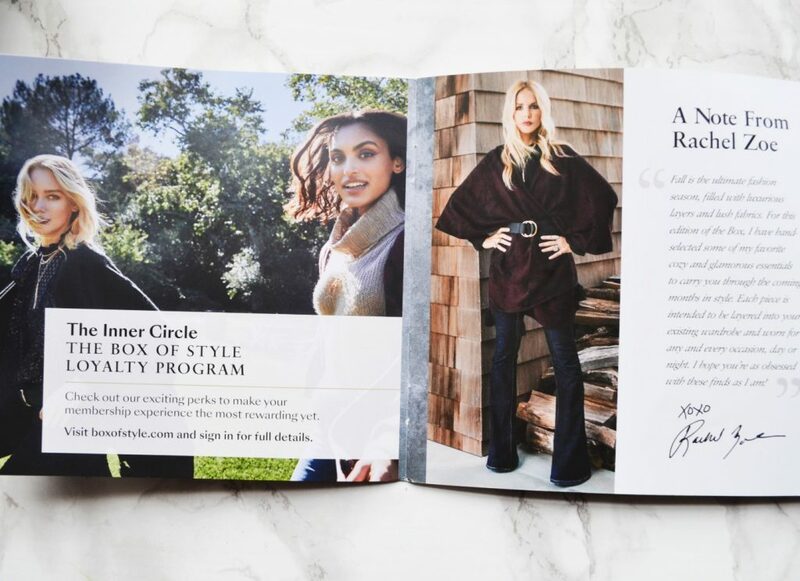 Fall is my favorite time of year, and I can’t wait to see what was included in this season’s curated box. 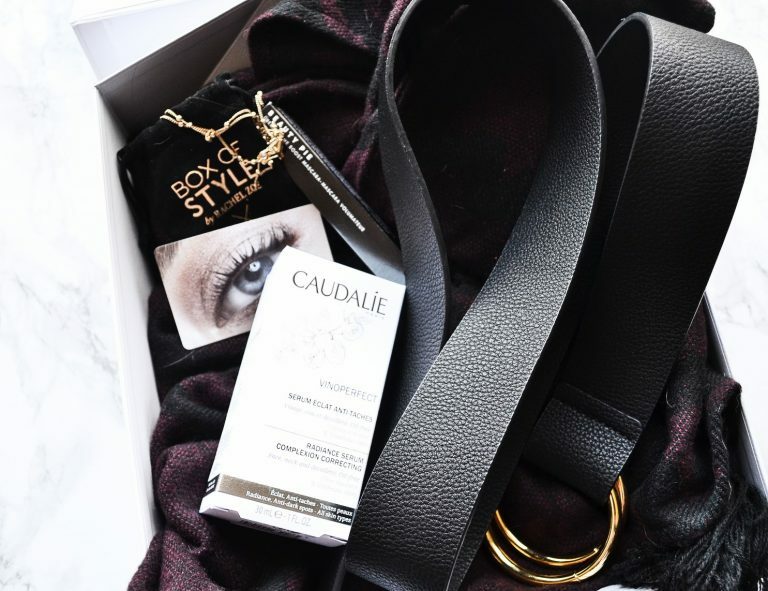 The Fall Box of Style arrived in a large, sleek cardboard box, and each item was in perfect condition. 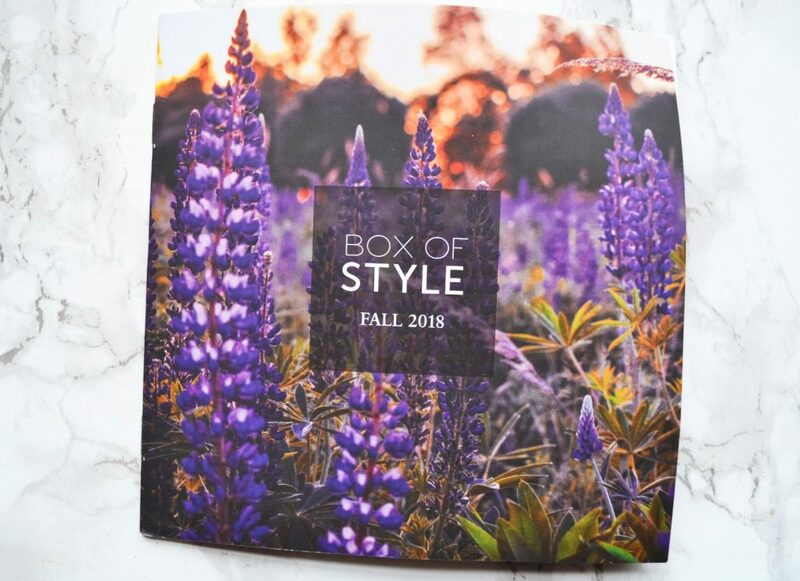 As soon as I opened the box, the first thing I reached for was Box of Style’s Fall 2018 circular. 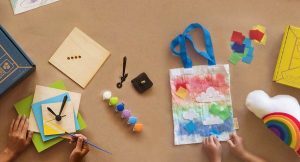 It has such gorgeous pictures, and gives a lot of helpful information about each product. 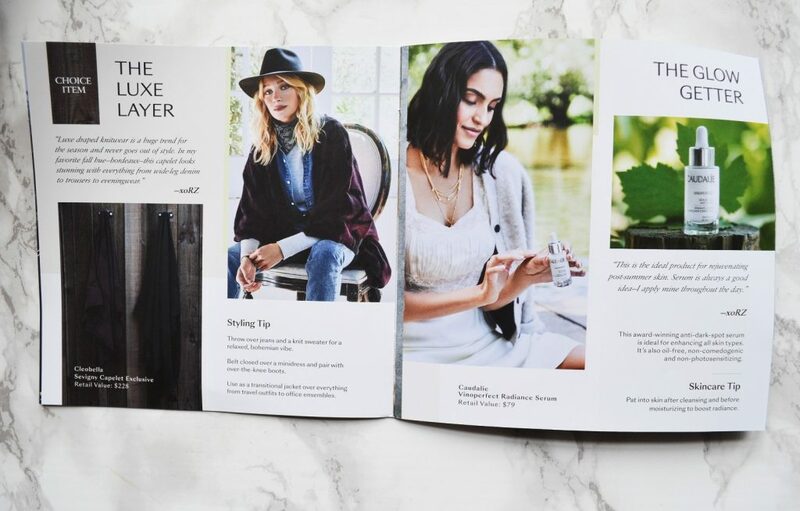 I love that they include styling tips! 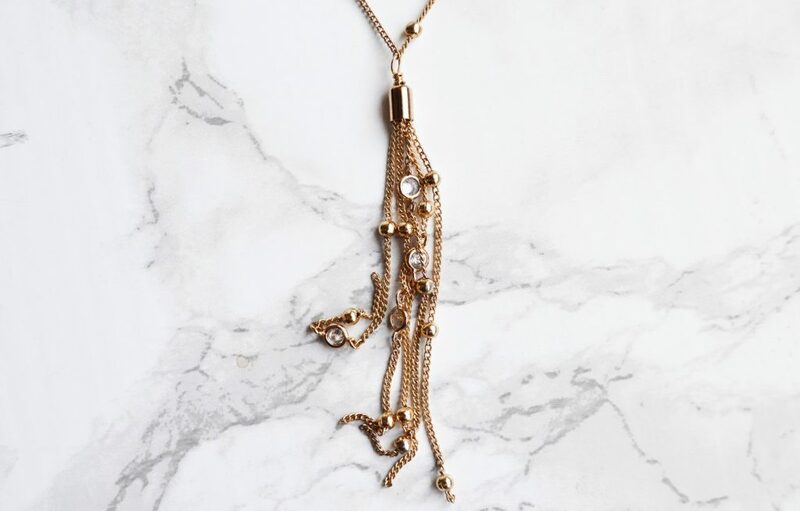 This stunning necklace is plated in 18K gold, and has crystal accents. 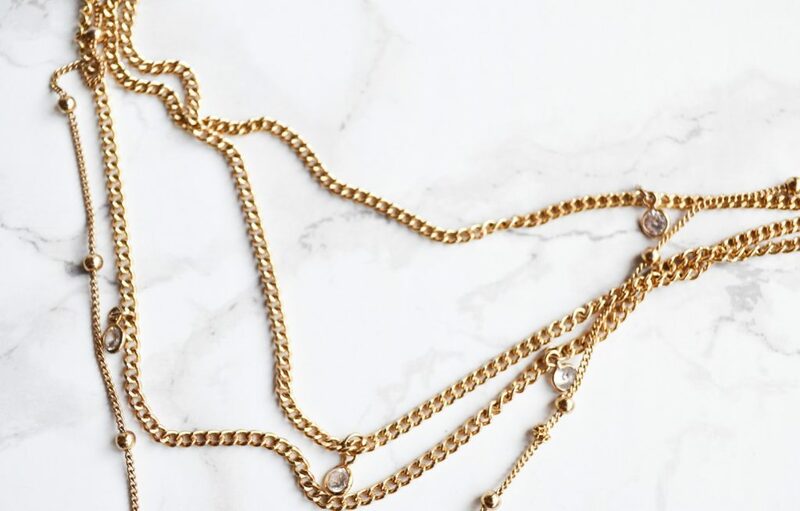 There is quite a bit going on with the necklace; it has four layers, a tassel, and is super sparkly. I think this makes it perfect for the upcoming holiday season! 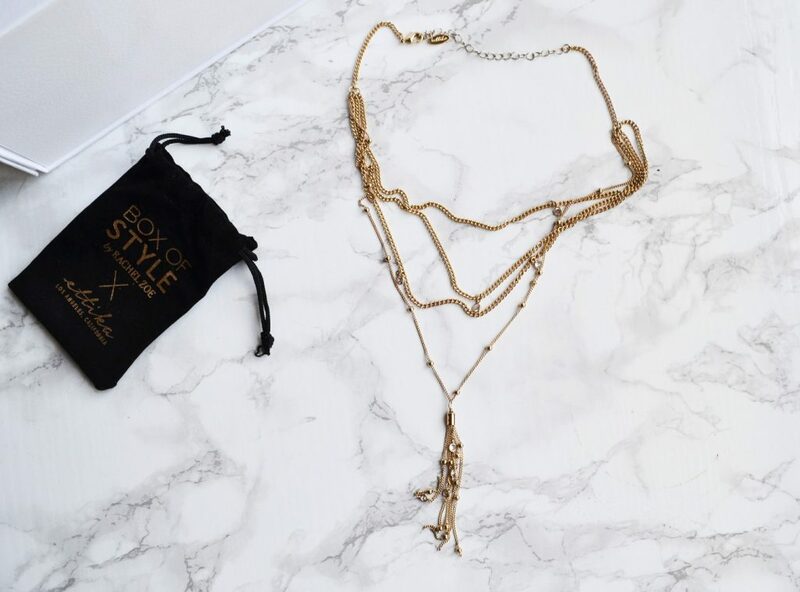 This is my favorite item of jewelry that I’ve ever received in a subscription box, and I’ve been wearing it over solid colored sweater dresses to liven up my outfits. 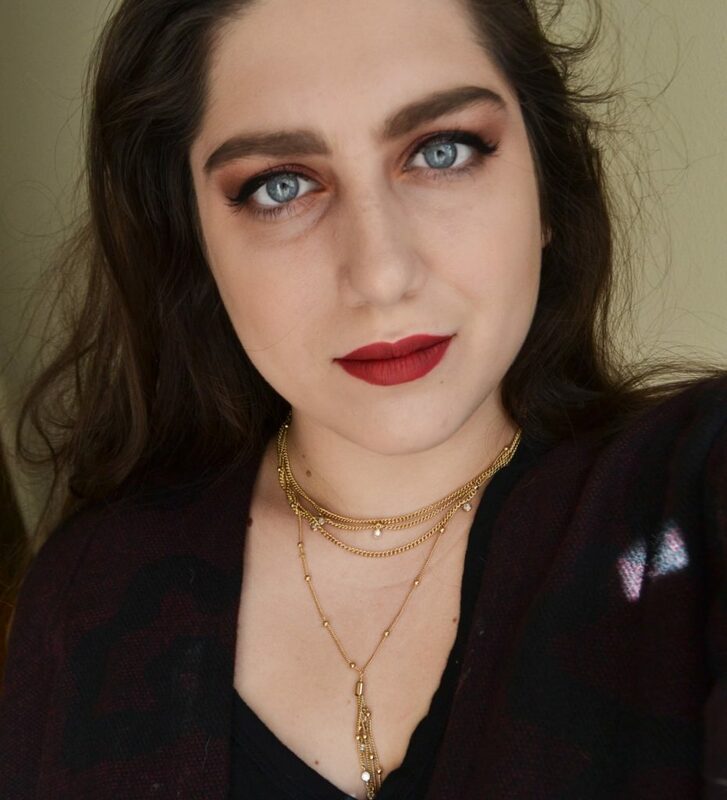 The necklace is adjustable, but I like to wear it on the shortest setting, to give the smaller layers a choker-like effect. 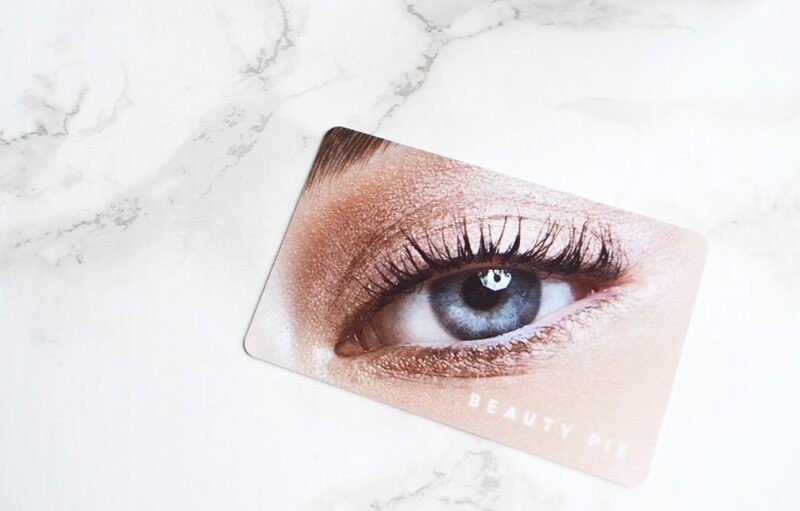 If you haven’t heard of Beauty Pie, it is a beauty membership site where you can purchase luxury makeup and skincare for the cost of production. 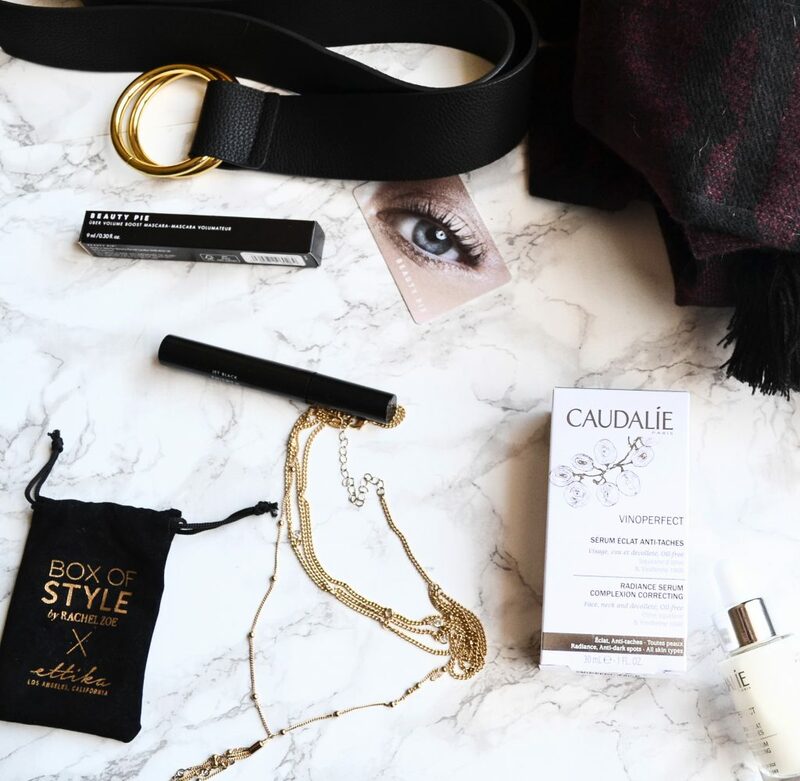 This mascara is worth $24, but only costs $3.88 with a Beauty Pie membership. 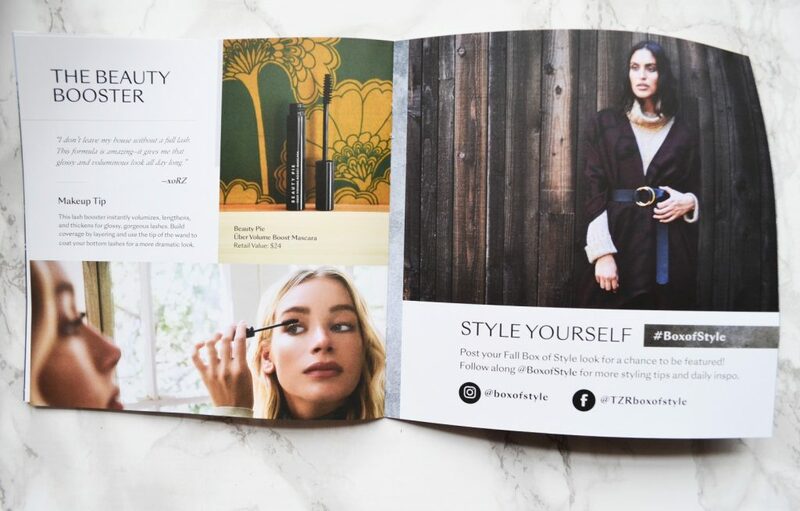 Box of Style included a trial membership card, so you can purchase some makeup at steep discounts! Anyways, on to the mascara. 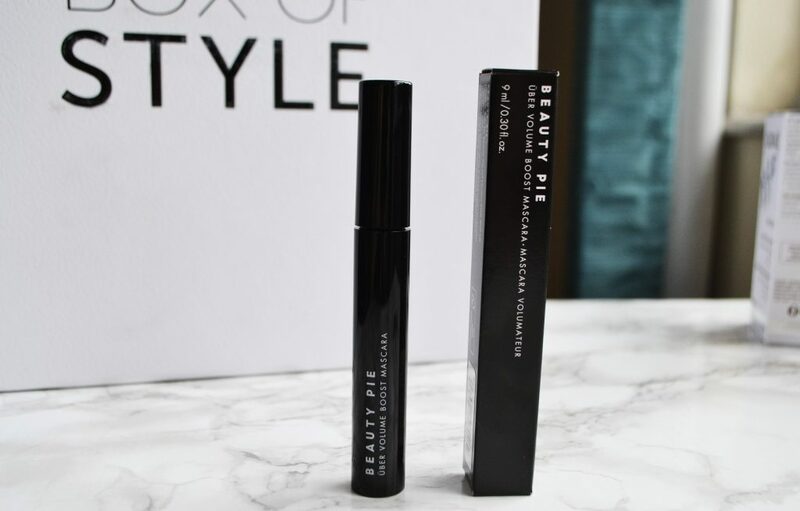 The packaging itself is pretty basic, but that’s what helps Beauty Pie keep their prices down. The Uber Lift Mascara is supposed to volumize and thicken your lashes, as well as lift and separate them. The brush is quite long and stiff, and picks up the perfect amount of product. 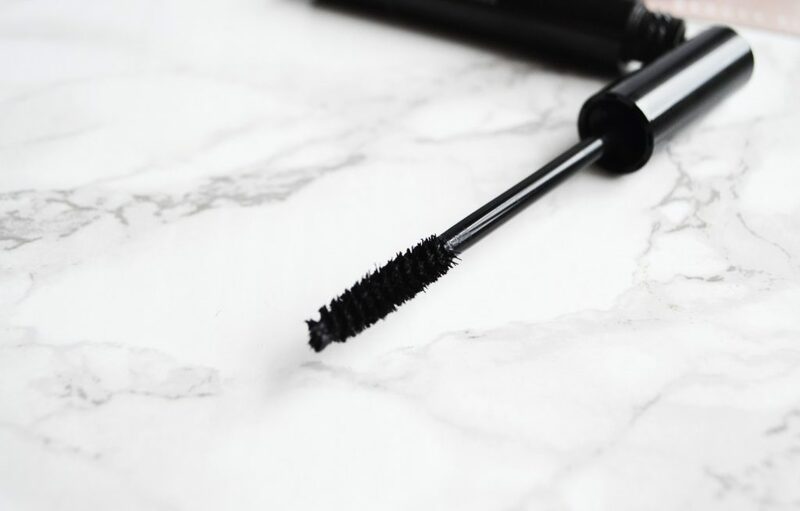 I’ve noticed that a lot of mascara wands pick up way too much product, leaving your lashes wet and goopy – not a cute look. I love that this wand evenly dispenses the mascara. In the pictures below, I’m wearing one layer of mascara on my right eye and no mascara on my left eyes. As you can see, the mascara darkens my lashes and lengthens them considerably. It also does a pretty good job of separating them. I’m not really seeing the volumizing effect, but I still really like how it turned out! It is definitely a more natural looking mascara, which is what I prefer. I’ve been reaching for this nearly ever day since receiving my box. Finally, a serum! So many subscription boxes include moisturizers as their skincare products; at this point I have a drawer full of moisturizers but only a couple of serums. 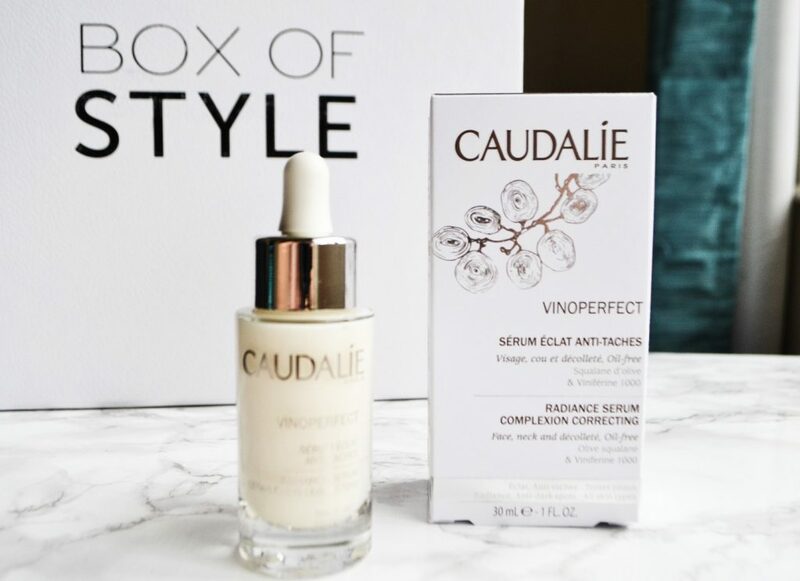 This Vinoperfect Radiance Serum enhances all skin types, and helps diminish dark spots. I have never tried such a high end serum, but it makes such a difference. 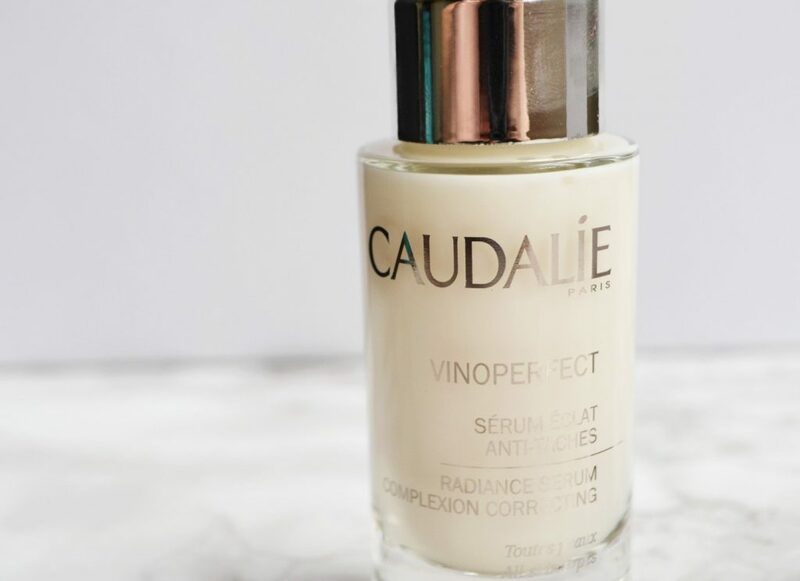 Serums are supposed to tighten your skin, and give you a healthy glow – this is the only serum I own where I can actually feel my skin tightening. 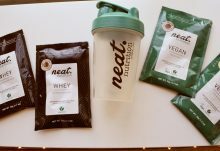 I’ve only been using it for a couple weeks, so I don’t have any insight as to how it works long term. But, I have high hopes! 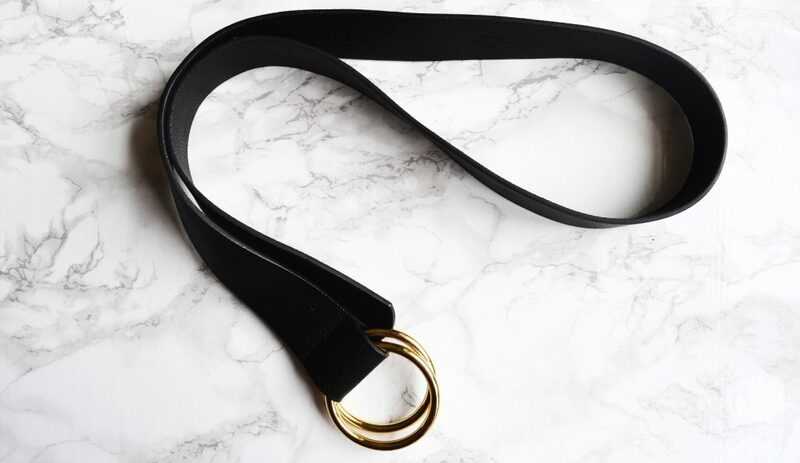 This black vegan leather belt is totally badass! I love the chunky gold buckle, and it cinches in my waist nicely. 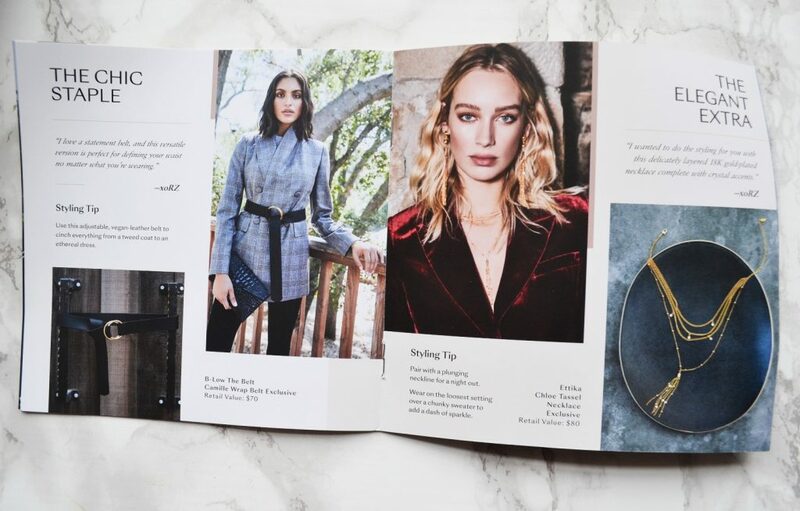 However, I will say that my waist is pretty thick (34 inches), and I have a lot less leeway in the belt than the model in the styling photo. Her belt has lots of leftover material and hangs down, whereas mine just doesn’t have that much room. I am a size 12, and I really don’t think this belt would accommodate past a size 14 or 16. 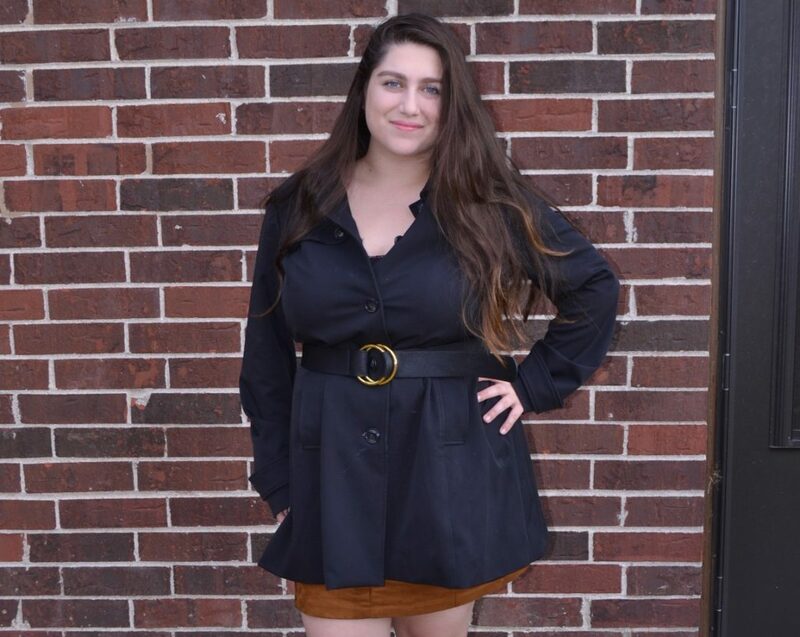 I love wearing this belt with my raincoat! My coat is a couple sizes too large, so it’s great to be able to cinch it a bit. I think the gold circle buckle is a great detail, and calls attention to the cinched waist. 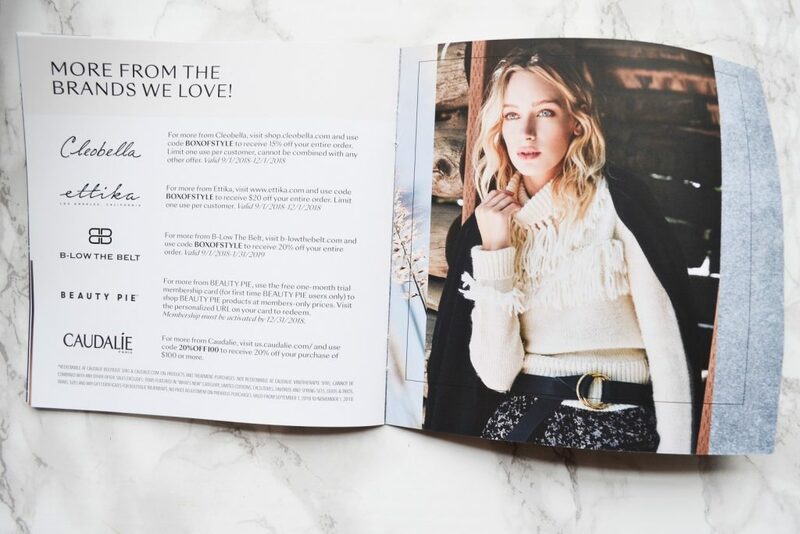 This is the big ticket item in Fall 2018 Box of Style! The Cleobelly Sevigny Capelet is a beautiful Bordeaux color, and has a subtle floral pattern. It also has such cute tassels on the corners. The cape is very comfortable and warm, but is not flattering on me. 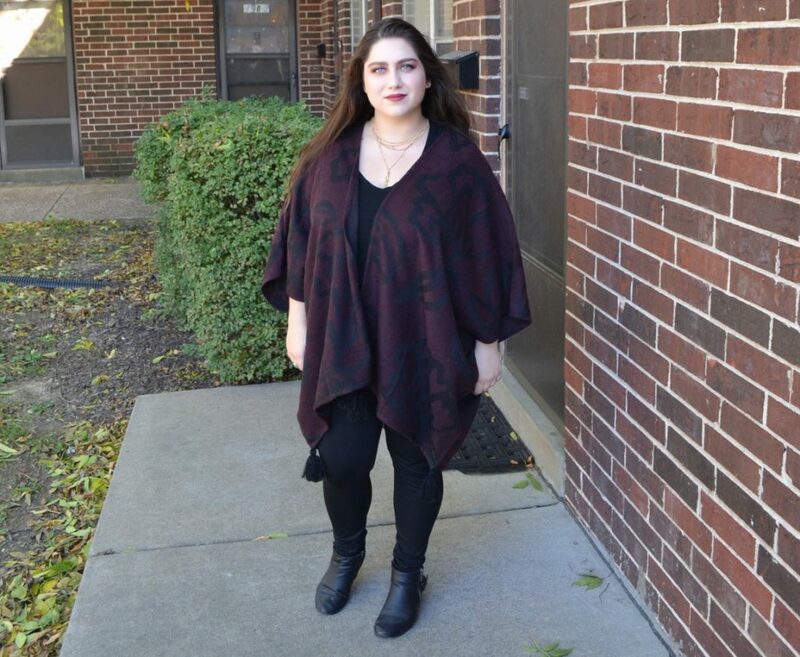 I am top heavy, so the cape hangs down from my breasts and makes me appear about 50 pounds heavier than I really am. I am also only 5’0, so it’s an awkward length. If I try to cinch it in with a belt, it just looks really bulky and weird. I think the cape has the potential to look incredible on a different body type! I am just very short and stout, and I can’t really pull off a lot of styles. 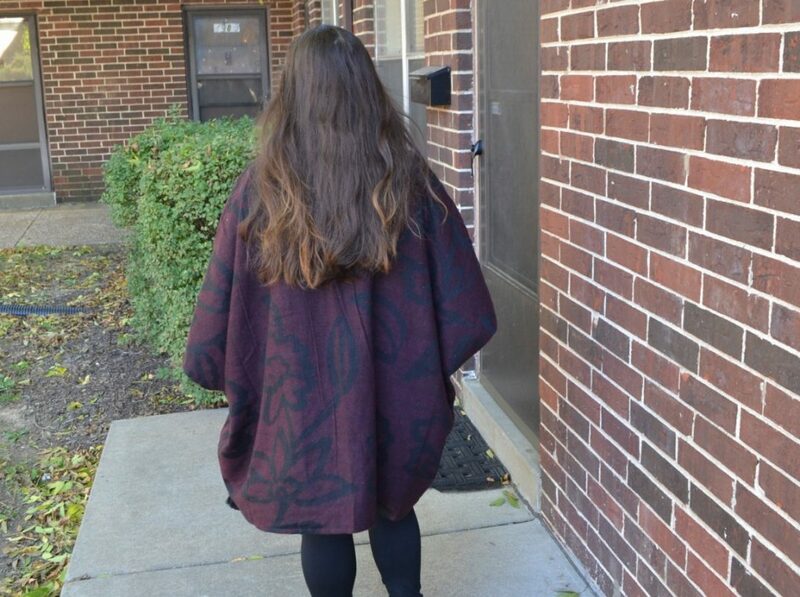 The cape is super cozy, so I will probably wear it around the house all season. 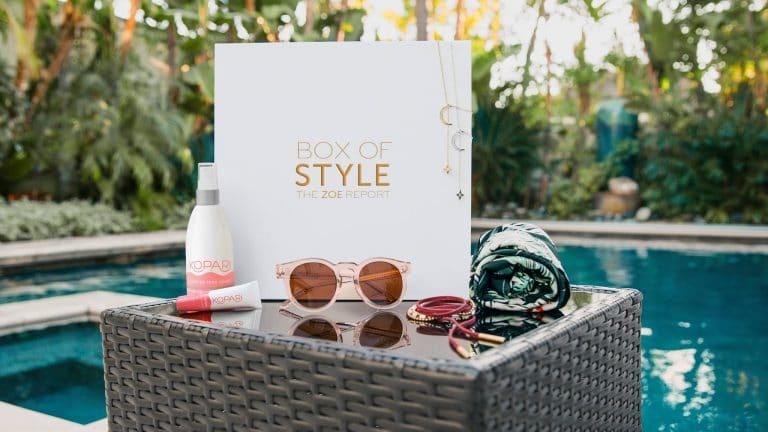 Fall 2018’s Box of Style was wonderfully curated, and I loved the items inside – especially the necklace and the serum! 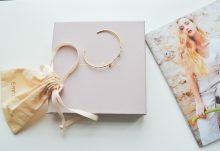 This box truly felt luxurious, and it was worth over $440! 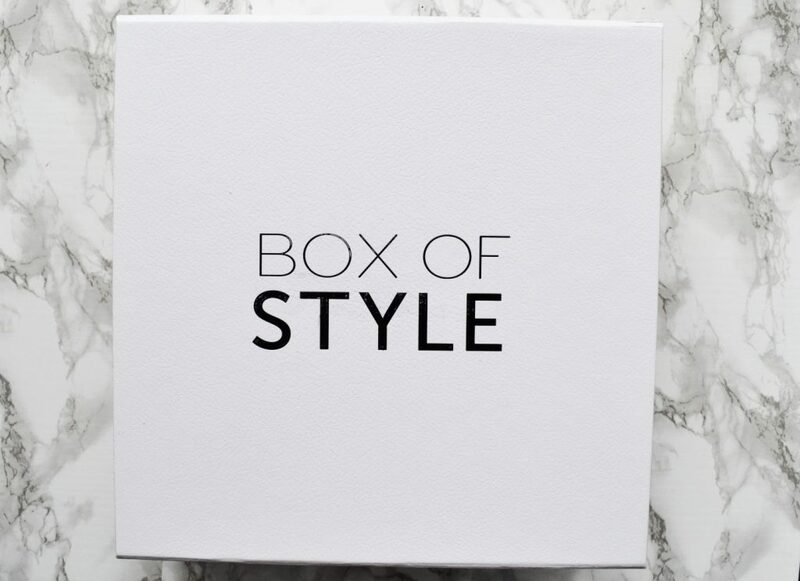 Box of Style would make an excellent birthday or Christmas present, or just a great way to treat yourself.